The First Caller of the Day, Chickenman! Morgan Freeman’s School Lunch Menus, Strain Your Brain, our Deputy Program Director Barney, Buffalo Bob, weekly Presidential calls, Big Name Birthdays, The American Biker Minute with Jeff Ryan, Traffic & Weather Together with Lizzy, news and so much more is all squeezed in with the most Real Classic Rock in the morning from the biggest Real Classic Rock library in the 4 Corners! More local winners and more Real Classic Rock in the morning! Noting but the best Real Classic Rock to get you home, with the 5 O’clock 4-Play and the All Request hour from 5p – 6p. 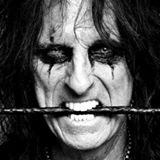 As someone once posted “Without Alice Cooper, there might never have been the NY Dolls, KISS, Marilyn Manson, Nine Inch Nails, Motley Crue, Slipknot or Rob Zombie … maybe not even David Bowie, or at least not Ziggy Stardust.” And without NWAC your radio from 7 – mid would sound like this (static or easy listening music). A full hour of uninterrupted commercial free Real Classic Rock albums! Chopsticks is your host for two full hours of Real Classic Metal! Metallica, Dio, Anthrax, Judas Priest, Iron Maiden, Megadeth, Deep Purple, Motorhead, Saxon and hee list goes on and on! It’s racing, it’s rock. It’s Racing Rocks with legendary and original MTV Head Bangers Ball VJ Riki Rachtman. Nationally known Zeppelin expert, and super-fan, Carol Miller, hosts an hour of Zeppelin music, stories, and interviews. Crack open a fresh can of Aqua Net yer BuzzCut is here!